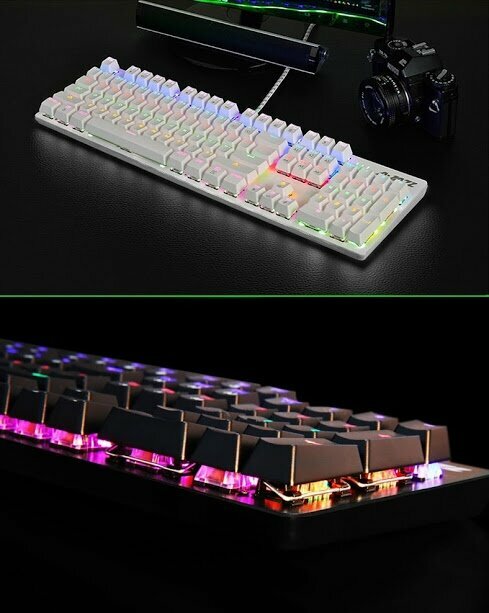 -8 kinds of games exclusive lighting mode "Fn + SCLK"
-Do not wear color keycaps, ergonomic cap stepped curve. 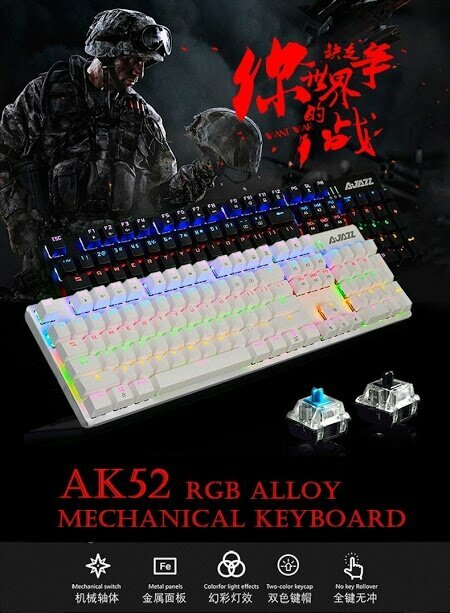 8 kinds of games exclusive lighting mode "Fn + SCLK"
Do not wear color keycaps, ergonomic cap stepped curve. 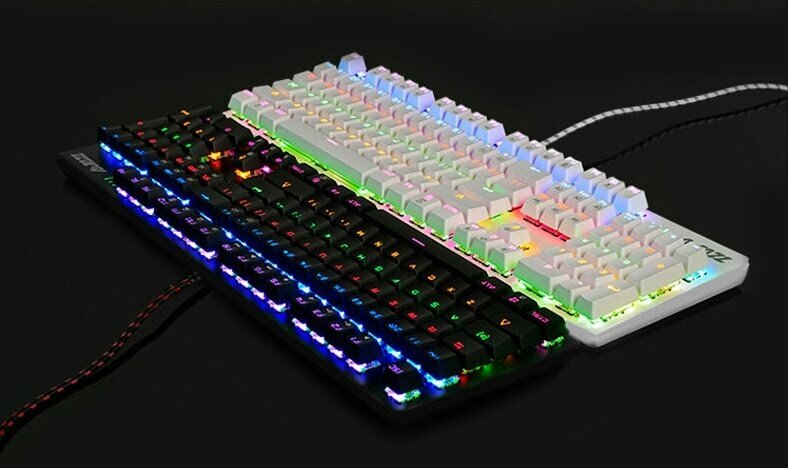 It is specified designed for those whose personal taste can make a mechanical keyboard for use. 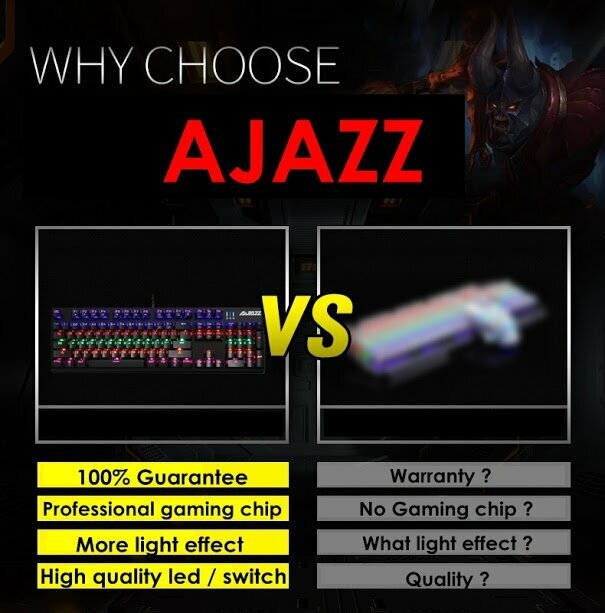 Ajazz AK52 RGB is a great keyboard for gaming and typing. 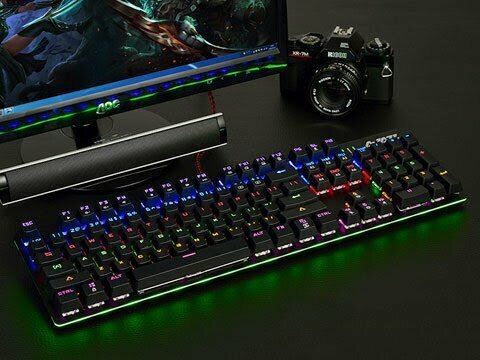 • 8 kinds of games exclusive lighting mode "Fn + SCLK"
• Do not wear color keycaps, ergonomic cap stepped curve. 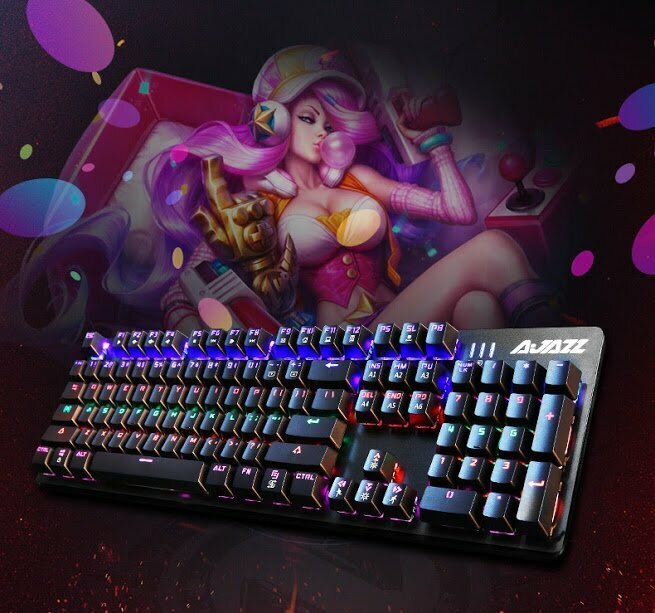 The mechanical keys on it deliver gaming-grade responsiveness and tactile feedback superior to rubber-domed keys. 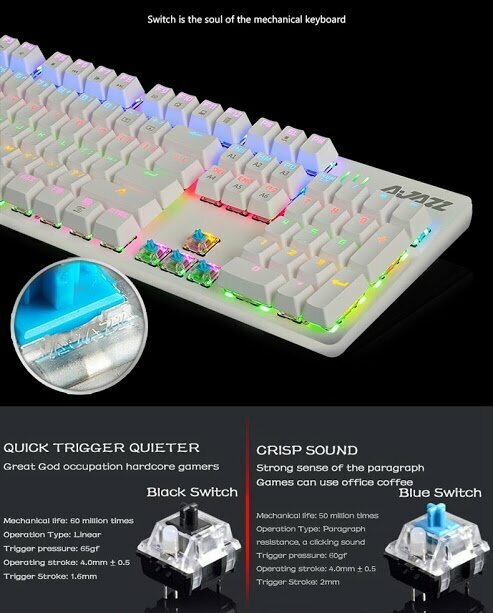 the keys are optimized for rapid command entry. Plus, the keys have been tested for durability to a 60 million cycle life. be it World of Warcraft or Guild Wars 2. 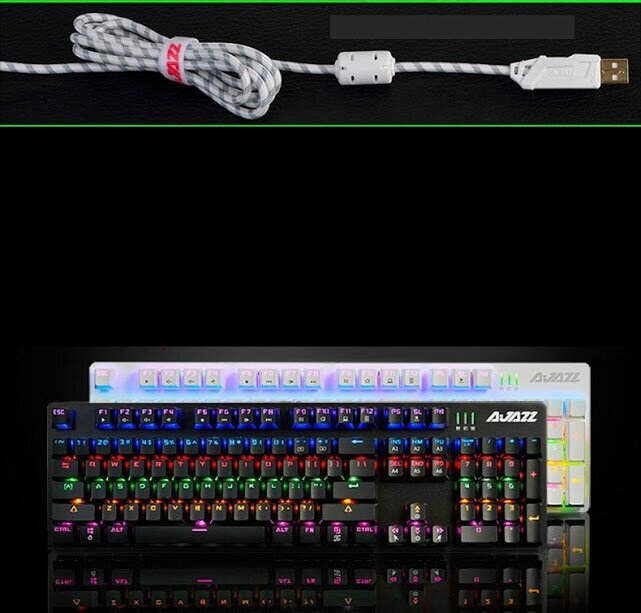 Program all 82 buttons across so you can bring your setup to other PCs. Customize With Over 16.8M Colors. 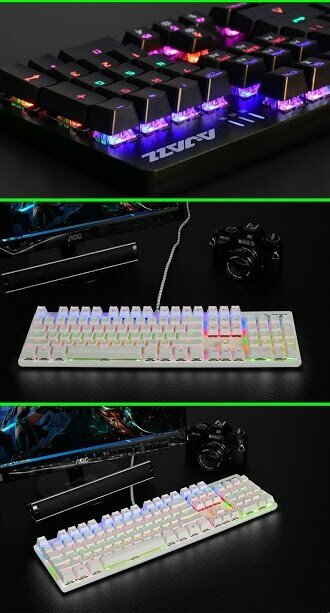 Mark keys by color to keep track of spells and game commands. 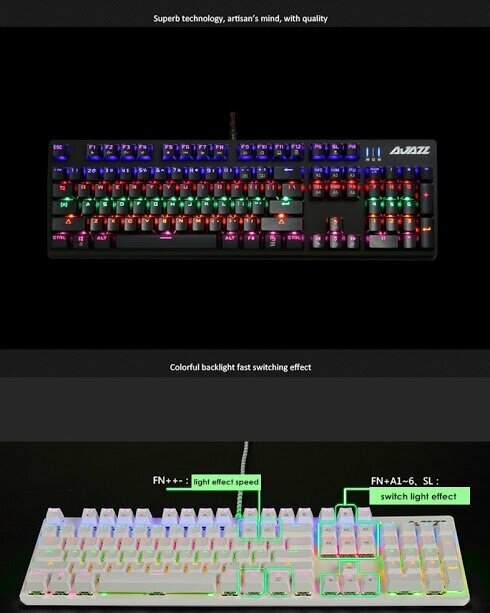 The keys feature customizable lighting from a palette of 16.8 million colors. Each letter of key is entirely illuminated. 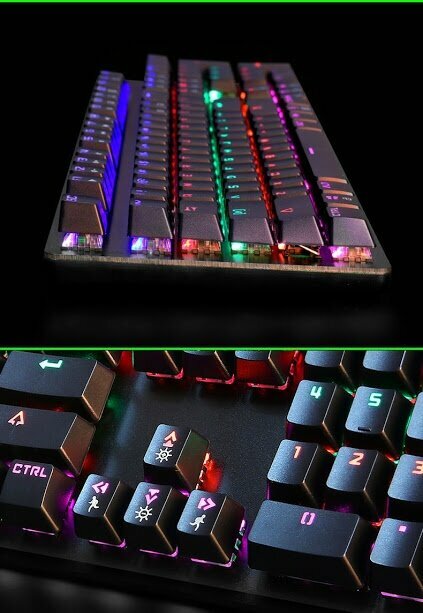 Humanized design, increase the light control keys, game keys and multimedia keys and FN key, easy entertaining experience. 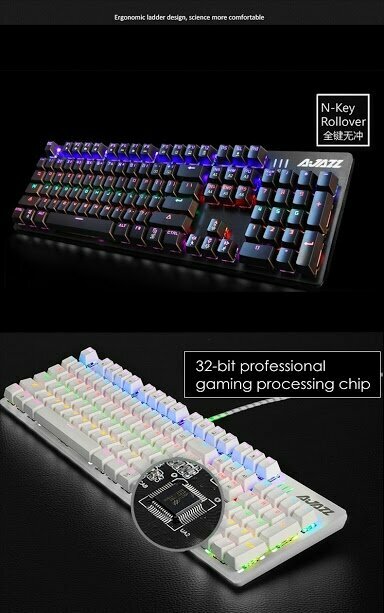 With 6-key rollover, press almost any 6 keys plus modifier keys (Control, Alt, Shift) in any order and get exactly what you intended to. Reliable Control of your command. Reliably register inputs through even the most strenuous gaming sessions with anti-ghosting protection. It has superior durability in all aspects. The durable tilt legs provide stability and comfort even in your most intense gaming sessions. 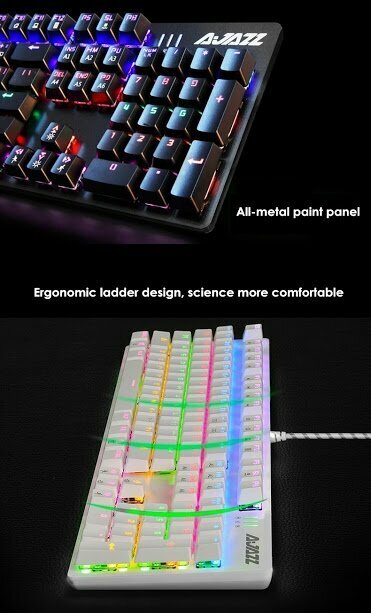 It adopts the ladder type keycap arrangement, ergonomic. Cap is made by special process, feel comfortable, has a long service life and a good ability of abrasion . 100% Brand New!! Quality Assurance!! To be No.1 Owner! !